On Ellen Harmon White and Seventh-day Adventism. Many decades ago my six-year-old daughter Heidi came home from church and announced, "I'm not going back to Sabbath school ever again." "And why not?" I asked. "Because they don't teach the Bible there. They just teach Ellen White," she said. This was awkward, because her father was a Seventh-day Adventist pastor at the time, and many Adventists consider White a prophet of near-biblical standing. We compromised. She would go to her father's church service on Saturdays, but on Sundays she could attend Sunday school at the Presbyterian church down the street. Heidi didn't know how lucky she was: her kindergarten class was only listening to endless stories about White's childhood. By contrast, her sister's primary class was pretending to escape pretend end-times persecution by fleeing to pretend mountains. Molly, 8, may not have realized that this dramatized apocalypse was based on White's writings, but she happily joined her sister at the terror-free Sunday school. I sympathized with the girls. A scrupulous and studious child, I was immersed in White's writings throughout 17 years of SDA education. I knew that for some children, her books should come with trigger warnings, and I was relieved when my family joined an entirely different denomination a couple of years after the kids' defection to the Presbyterians. 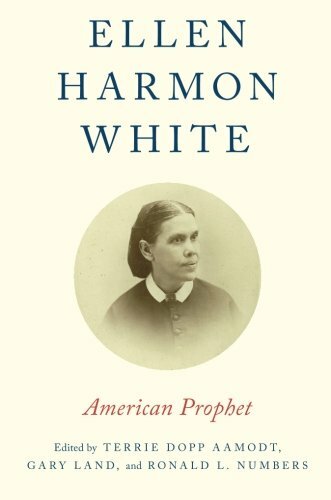 So when I learned through Facebook that a consortium of scholars—some of them friends and former classmates—had published a book called Ellen Harmon White: American Prophet, I picked it up with reluctance. I'm glad I got past my initial hesitation: it turned out to be an engrossing study of an era, a church, and an indomitable woman I didn't know nearly as well as I thought I did. The book will no doubt interest current and former Adventists, but even those who aren't sure who White was may find it fascinating. Adventists are everywhere: there are 18 million of them worldwide (and only 15 million Mormons). They have made major contributions to American culture: corn flakes, veggie burgers, so-called creation scientists. More important, at least to history buffs, White's story is the story of 19th-century America in microcosm. Unlike tendentious pro- or anti-Adventist literature, Ellen Harmon White sets its subject squarely in her historical and social milieu: a time of religious barnstorming, racial conflict, institution building, and geographical expansion; a time when reform movements in health, education, care for the poor, and women's rights proliferated. This was the environment that formed White, and that White in turn helped to form. With a foreword by Duke University historian Grant Wacker, the book has 18 chapters and 20 authors—"Adventists, ex-Adventists, and non-Adventists"—all of them scholars and most of them university professors. Often such an erudite lineup results in a densely unreadable or, at best, uneven book. Not here. The editorial team has gathered and shaped a group of clear, interesting writers who avoid academic jargon while looking at White under different aspects. Jonathan Butler's opening chapter, "A Portrait," sets the stage with a biographical and cultural summary. Born in 1827, young Ellen Harmon was caught up in the Millerite movement that expected the Second Coming in the mid-1840s. Greatly disappointed when the Lord didn't show up on schedule, she became "the fragile trance figure of a motley group of ephemeral millenarians," Butler writes. Braving sexist opposition, marital problems, financial crises, ill health, and widowhood, she would eventually "be transformed into the full-fledged, incredibly forceful prophet of a viable and durable church," a woman whose "lifetime of longing for another world placed its indelible and historic mark on this world." If White had stuck to preaching and writing, evangelicals might have accepted Adventists as eccentric fellow travelers. But White claimed to have visions directly from God. This seems odder today than it did in her era. White's religious experience, writes Ann Taves, was "shaped by the visionary culture of shouting Methodism," a prominent hyper-emotional stream of early American revivalism. The challenge for White and her followers was to distinguish her experiences from those of other seers, whose visions, White asserted, were neither God-inspired (as religious visionaries claimed) nor due to natural phenomena (as mesmerists believed): they were satanic deceptions aimed at destroying faith in Christ. White did not deal with "false prophets" gently: Ronald Graybill reports that, "confronted by a young woman she believed was having a 'false vision,' she recommended getting 'a pitcher of cold water, good cold water' and throwing it 'right in her face.' "